T-Mobile subscribers have something to be excited about today as the wireless provider has announced they will launch their long-awaited 4G LTE network by the end of this month. 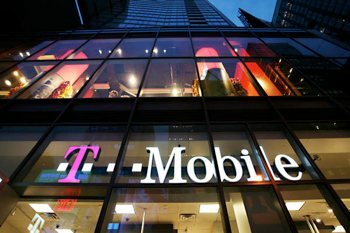 Despite the fact that T-Mobile is the last of the nation’s four major carriers to flip the LTE switch, they promise to cover some 100 million customers by summer and 200 million before 2014 arrives. In comparison, Verizon’s speedy network already blankets 275 million subscribers while AT&T offers 4G LTE service in 155 markets. Sprint ranks third with just 67 markets covered. The key difference, however, is that when T-Mobile subscribers leave 4G LTE coverage areas, they will be seamlessly switched over to the company’s HSPA+42 network instead of a slow (by today’s standards) 3G network. T-Mobile’s 4G-enabled handsets have yet another advantage – they only require a single chip to run 4G LTE and HSPA+42 while other carriers must use two chips to accommodate two networks. This may not sound like a big deal but it very well could be in terms of overall battery life. It’ll be interesting to see how battery life holds up compared to identical handsets from other carriers. The first two handsets to officially support 4G LTE on T-Mobile are the BlackBerry Z10 and the Samsung Galaxy Note II. Samsung’s just-announced Galaxy S4 is also headed to the carrier although as of writing, a release date and price point have not been announced.